Artur A. Antoniewicz, MD, PhD is an expert in urology with over twenty years of professional experience. 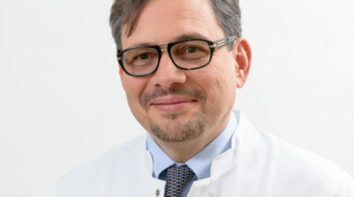 For 7 years and is also the Head of Urological Department at the Międzyleski Specialist Hospital in Warsaw, where he has been involved for over 20 years. He has also been chairing the European Board of Urology (EBU) Examination Board, based in the Netherlands since 2011. Artur A. Antoniewicz, MD, PhD graduated from Medical School at the First Medical School of the Medical Academy in Warsaw. Besides the specialization of the second degree of urology, in 1992 he obtained specialization in general surgery. Artur A. Antoniewicz, MD, PhD received his extensive professional experience from the best medical centers in Poland and abroad. He was involved in, among others: the State Clinical Hospital No 1 in Warsaw, the Urology Clinic of the Medical Academy in Warsaw, the Railway Hospital in Warsaw. The doctor has also held a number of internships and training in leading urological centers in Germany, France, Slovenia or Italy. In 1999, Artur A. Antoniewicz, MD, PhD received the prestigious Fellow of the European Board of Urology (FEBU). Since 2000 he has been a member of the PTU (Polish Urological Association) Scientific Committee. The doctor is an active member of the Polish Urological Association, the European Board of Urology, the European Society of Urology, the Societe Internationale d'Urologie. Artur A. Antoniewicz, MD, PhD is the author of numerous scientific papers. He speaks fluently in English and German.